P.S. : While I wrote this article, Germania, an airline that I know from the beginning of my career, who’s team I booked at American Airlines to Seattle to pick up their first 737s, an airline I have had a personal attachment to, went into insolvency grounding all aircraft after many years of financial losses. The demise of Air Berlin 2017 brought easyJet on their home-apron in Berlin in force, no longer some competition, but clear one-on-one. Such the chance to establish lucrative routes in Berlin evaporated. Instead of benefiting from the demise of their largest local competitor, Germania had to sit aside, watching the threat growing. Germania did, what they had to do, they focused on niches. Niches that were too small, to fragile to give them safety. Routes they developed well always threatened to be taken over by their competitors operating with lower cost. Erbil, under threat of war, Beirut, …? They announced a base in Pristina (Kosovo). They ordered A320neo, in an attempt to stay somewhat competitive to their competitors like easyJet also introducing the modernized aircraft. Else they operated tourism charter flights – which are in great demand in summer, but one after another airline in that market files for bankruptcy at the end of the season. And Germania published financial troubles as early as August 1st, 2018. So they could not do what needed to be done: Generate enough money in summer to succeed across the harsh winter. You cannot succeed if you play it small, if your cost is not competitive to your competitors. Not the small virtual airline competitors, the other “day flies” lasting one summer season, two at best, but the big ones. The easyJets, Ryanairs, Wizzes, etc. It’s not fuel cost development that kills you. It’s bad management. It’s a strategy without USPs or with very weak ones – there’s reason, the other airlines don’t bother the routes Germania did. And as I outlined in an article I published on LinkedIn, this was no sudden issue, they lost money for years! As it is being said, the unexpected increase on EU261-expenses, the “EU passenger rights” also had it’s impact on the financial situation. If you sell a ticket for € 100 and you must compensate € 300, it does impact your revenue. So back to the topic – flight disruptions. 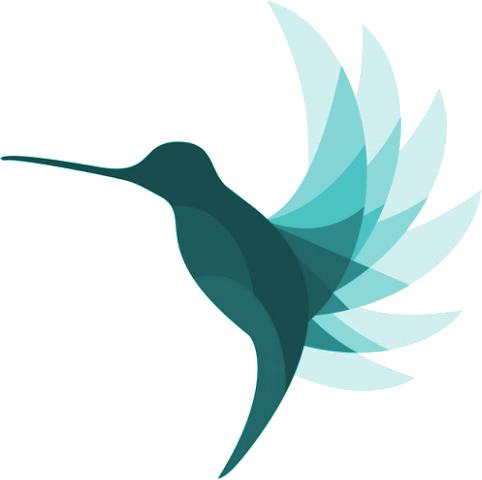 Having worked last year on the business plan for KOLIBRI.aero as well as on projects related to Airport and Airline Operations Control Centers, flight disruptions have reappeared as an ongoing topic of increasing concern. 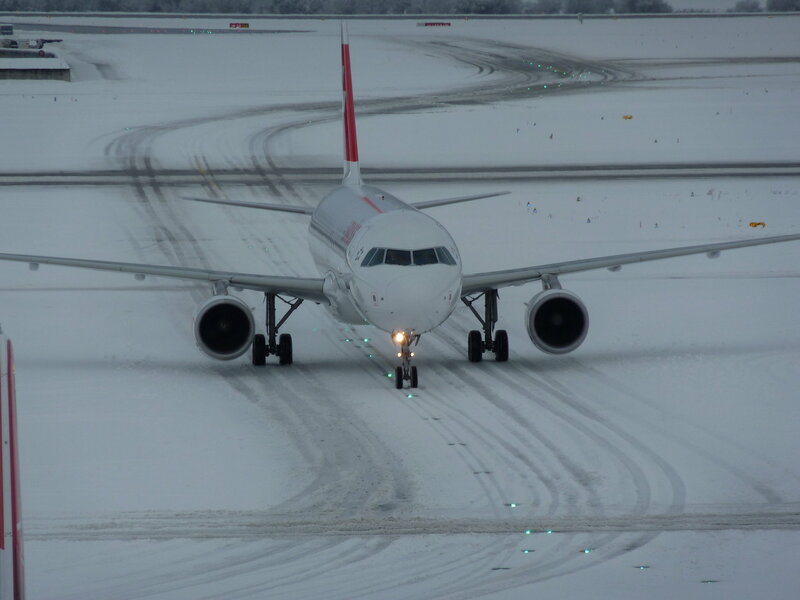 And my experience doing a study a few years ago at delair together with Zürich Airport (ZRH) about the impact of the deicing forecasting and management tool on Swiss (airline) operations at Zürich became a strong source for my advise to airport operations managers. When working with ZRH “Ice Man” Urs Haldimann on the study, I also got some feedback from Swiss. While managing the deicing in winter is not that much a problem, neither airports, nor passengers understand the rippling effect to the schedule. And often enough, not the airline’s own managers. That in the evening in warm Mallorca, the flight may be late, because of a deicing delay in the morning. So while higher force is accepted for the flight cancelled in Zürich, very often, the airline is required to pay EU Passenger “compensation” multiple the price for the ticket. So a major delay can be far more costly than just related to the immediate flight. The harsh winter 2013/14 in North America (as likely this recent one) became known in the deicing industry as the Polar Vortex. The accumulating delays forced JetBlue into a “two day network reset”. Crews and airplanes were anywhere but where according to schedule and crew planning they were suppose to be. It took the better part of two days to relocate aircraft and crews back to the planned position, also to make sure the crews received their legally due rest, to then start the new day with a fresh start. As needed as that decision was, imagine the impact to passengers on flights that are booked usually 80-90%. Disruptions can also be thanks to airport closures for other reasons, delays can be caused by as trivial as a broken baggage belt, a common thunderstorm or a ground handling crew doing a coffee break in the wrong time window – all things I experienced in my professional life. Flight crew duty times and technical delays are more common. Did you know that the Top 10 of “punctual” airlines have 15-20% of their flights delayed? That means 1 out of 5 flights is late. To “celebrate” such achievement is beyond me, I honestly feel embarrassed that our industry cannot do better! Don’t come with the typical “explanations” covering for the incompetence to do better. Needless to mention that this is about “departure delay”, whereas passengers truly don’t care about those as long as the flight arrives on time, right? I was recently on a flight that left “on time”. Doors were close, the aircraft was sitting at the gate, waiting for it’s slot in the deicing and departure. More recently, Primera Air, Azur Air or Small Planet Airlines closed down. Cobalt Air followed shortly after I published the blog post. At least for two of those airlines the cause was said by their respective CEOs to have been “unexpected” cost for delays and disruptions. Though not reconfirmed, rumors have it such were also the cause for the financial troubles Germania faced in Mid-January 2019, filing insolvency early February (see P.S. above). “Refund portals” organizing refunds for delayed passengers result in higher number of refunds. Small fleets with no spare aircraft causes the ripple-effect to sometimes swap over into the next day(s). Lesson learned from my research about Zürich delays: It very often is cheaper for the airline to cancel the flight to make sure the further aircraft “rotation” (planned flights for the remaining day/week) are not impacted. Especially if i.e. winter operations allow for “higher force” reasoning of the cancellation. While the airline can show goodwill and help the stranded passengers, in such situation they are not legally forced to add the legal, excessive passenger compensation for delays. It also in fact reduces the overall passenger upset. And Zürich can predict the delays! What I expected quite a while ago is the information of upcoming delay situation to the inbound planned airlines. The example I keep using: Once Zürich (or any other airport) learns about arrival-, turnaround- or departure-delays would inform KLM before their flight leaves, that it would likely develop delays in Zürich and may have an excessive delay departure, maybe KLM would cancel the flight? The concern: But if those airlines cancel their flights, then the flights will leave early, so KLM could operate on-time…? So what would be needed would be a bonus/malus system. 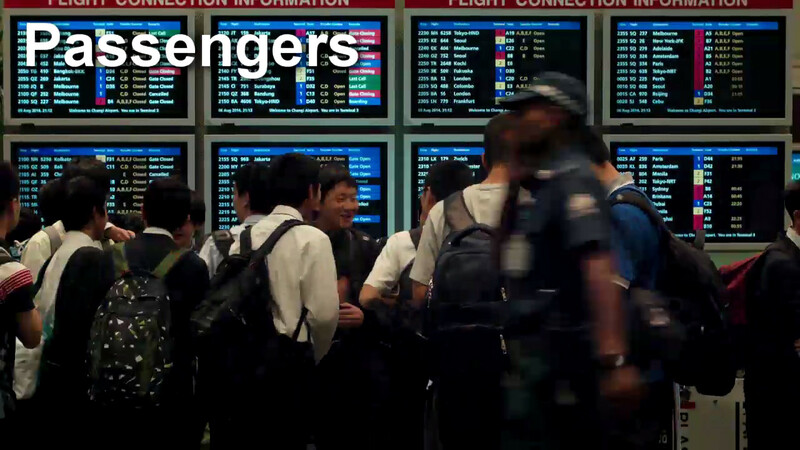 If an airline “volunteers” for the sake of the overall operation, to cancel a flight in such a situation, maybe it’s relatively empty, could be merged with the following flight – the airline gets a priority the next time, so the full flight gets an on-time departure. An airline deciding not to join that system will never get prioritized and take what they get – including the delays. Another ongoing discussion is the promotion of the big players for “SaaS”, Software-as-a-Service, more commonly known as “Cloud Computing”. What in my experience lacks of one vital thing, the fallback for a “line down”. There have been three cases that I (just me) know of last year, where line-down caused major flight delays. Because there is no fall-back in place. Delta takes weather seriously, with a team of 20+ in-house meteorologists (Photo by Darren Murph / The Points Guy) . Taken from Daniel Stechers LinkedIn article. That problem is multiplied by data silos. As Daniel, VP at IBS points out, there are too many screens an operations manager in the typical airline Operations Control Center (OCC) or also in the AirPort Operations Center (APOC) have on their desk, using old-style Gantt-charts, weather maps and other “sophisticated tools” that show them what happens out there. Very little tools that analyse the data automatically, giving you decision support on a disruption. Or warning you of potential disruptions giving you decision support how to avoid them. While we do need to replace those multiple screens with dashboards, highlighting what to look at, I disagree to some extend with Daniel’s implications, as I believe we will need to be able to expand from the problem, onto the relevant Gantt charts, graphs, tables and maps. Worse in my eyes is the underlying reason for those screens, as they are clearly attributed to data silos. And if the left tool does not know what the right does, if the airport, the ground handler, the airline have different “realities”, no wonder we have friction that results in ineffective operation causing “issues” and delays. As I mentioned in my article about APOC, OCC, NMOC five years ago. And if I ask about interfaces and am told “XML” or “ASCII”, we talk about triggered “push” or “pull”, but not about a live interface. Another data silo. 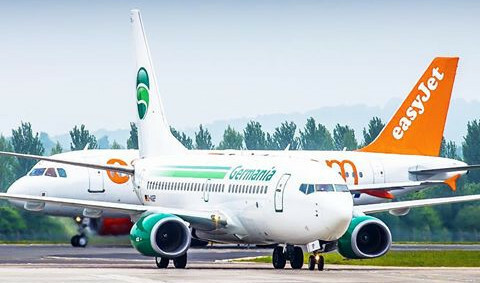 Coming back, to close this FoodForThought-article, let’s come back to Germania and other airlines which we have lost recently. If you have no assets (aircraft leased or sold/leased-back which is the same), if you outsourced everything (to which I include “cloud”), if you don’t have “spares” for covering up disruptions, you make a very good business case on the old joke: “How do I become a millionaire in aviation? I start with a billion.” Or the other one: “Saving, no matter the cost”. It’s called a “virtual airline”. And I predict we see increasingly those virtual airlines to fail, as they lack size, assets and revenue (RASK) to compete with their competitors.